Photo: Lars Plougmann. Creative Commons BY-SA. The question of whether bad leadership is bad for development is not a trivial one: when it comes to corruption, bribery worldwide has been estimated at about 3 percent of global income per year (see e.g., Susan Rose-Ackerman in Global Crises, Global Solutions). 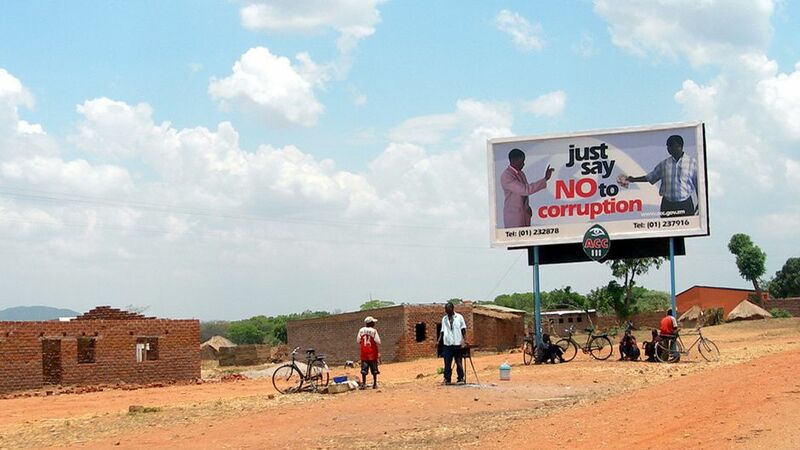 Furthermore, corruption hampers economic progress, especially in the developing world. Together with Gonne Beekman and Erwin Bulte from Wageningen University, I consider this matter in a new paper published in the Journal of Public Economics. We focus on a specific type of ‘bad’ leadership: corruption among local village chiefs. A number of cross-country aggregate ‘corruption indices’ — including those by the International Country and Risk Guide, Transparency International and the World Bank — rely on ‘expert’ assessments. However, because these assessments are, by definition, subjective they are all potentially far off the mark in terms of measuring actual levels of corruption. Moreover, they’re not very useful if you want to measure corruption at the local level, as we do. Fortunately, the literature has advanced, as discussed in a recent book on experimental research on corruption, and various micro-level measures have been developed, including (a) direct observations; (b) comparing data to equilibrium predictions from theoretical models; and (c) so-called ‘gap’ measurements: searching for mismatches between different data sources. We designed our own measure, which was similar in spirit to the third category. In 2011 we set up a natural field experiment in 44 villages in rural Liberia. We partnered with ZOA, a Dutch non-governmental organization (NGO) that ran an agricultural livelihoods programme for war-affected rural Liberian households, aiming to promote income, food security and intra-village cooperation. We mimicked one of the NGO’s standard procedures, which involved providing inputs (i.e., agricultural seeds and small hand tools) to a community leader, who would then publicly distribute them to project participants. However, due to poor and almost inaccessible roads we were unable to transport and distribute all project inputs to 44 communities on a single day. Therefore, we transported inputs on one day, and asked community leaders to store them for a period of three days in a safe place (usually their own house). Leaders were then informed that, on the third day, a project worker would make a public inventory of the inputs, after which they would be distributed among the participants. However, unknown to the community leaders and villagers, we also measured these inputs prior to transport, so that we had two measurements: the quantity of inputs transported and the quantities made available for distribution. The difference between these two measurements provided our proxy for corruption. We detected gaps in about 47 percent of our sample; in other words, in almost half of all participating communities (some) inputs went missing: on average about 2 percent of their total dollar value. There were no reports of inputs getting lost during cargo, nor did any chief report problems during storage. Hence, any gaps we measured could arguably be interpreted as ‘diversion’. With this we now had a fine-grained measure of corruption, based on ‘hard data’ rather than ‘cheap talk’. Clearly, measuring corruption is only relevant if linked to (individual) decision making. We therefore examined how corruption affects incentives for investments using two lab games played with our sample of Liberian farmers. First, participants were invited to a standard voluntary contribution game to measure their propensity to invest in local public goods. Second, participants played a simple ‘heads or tails’ game, to gauge their taste for making an uncertain investment decision. We found that being ruled by a corrupt local leader lowers individual contributions to the public good by some 20 percent of the mean contribution. Similarly, villagers’ private investments fall by about 29 percent if their local leader is corrupt. Why then do people invest less when their leader is corrupt? Our data are not rich enough to unravel the mechanisms linking corruption and investments but we can infer some plausible explanations. First, corruption might work like a distortive tax. While there is no ‘taxation’ in the experiment, such an effect might work via internalization — people are used to the fact that the local leader has a say in the allocation of (communal) resources, and bring their lifetime experience into the games. Alternatively, citizens may feel less respected by a corrupt leader and become less loyal and less productive in return. How does this study inform policy design? If the success of development interventions depends on combining project inputs and private efforts supplied by community members, projects will be more successful when local leaders are not corrupt. Hence, NGOs that strive to boost development by agricultural livelihoods programmes may try to target communities with good leadership. Identifying corrupt leaders (or any other entity that may engage in corruption for that matter) will surely be a challenge. However, at the very least we have shown why it is imperative to do so. This UNU-MERIT blog post was originally published in Economists on Conflict, a collaborative partnership between Stockholm International Peace Research Institute and Economists for Peace and Security (EPS) and is reproduced here with permission. Copyright Economists on Conflict. All rights reserved.